The statistic presents the leading eSports games worldwide in 2018, ranked by cumulative tournament prize pool. According to the source, League of Legends took the fourth spot on the list, with a prize pool worth 14.12 million U.S. dollars that year. 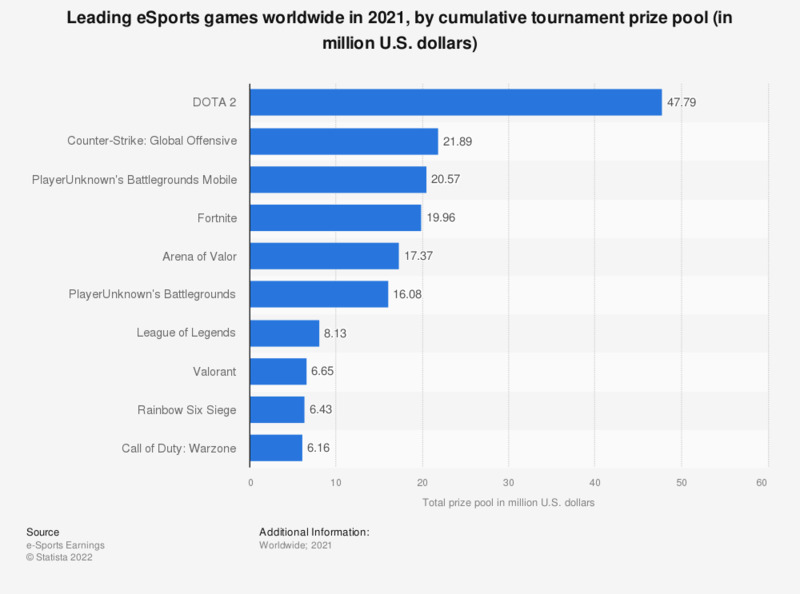 DOTA 2 ranked first, owing to a prize pool valued at 41.26 million U.S. dollars in 2018. In terms of top eSports tournaments based on prize pool, as of October 2018 The International 8 takes the lead, with 25.53 million U.S. dollars.